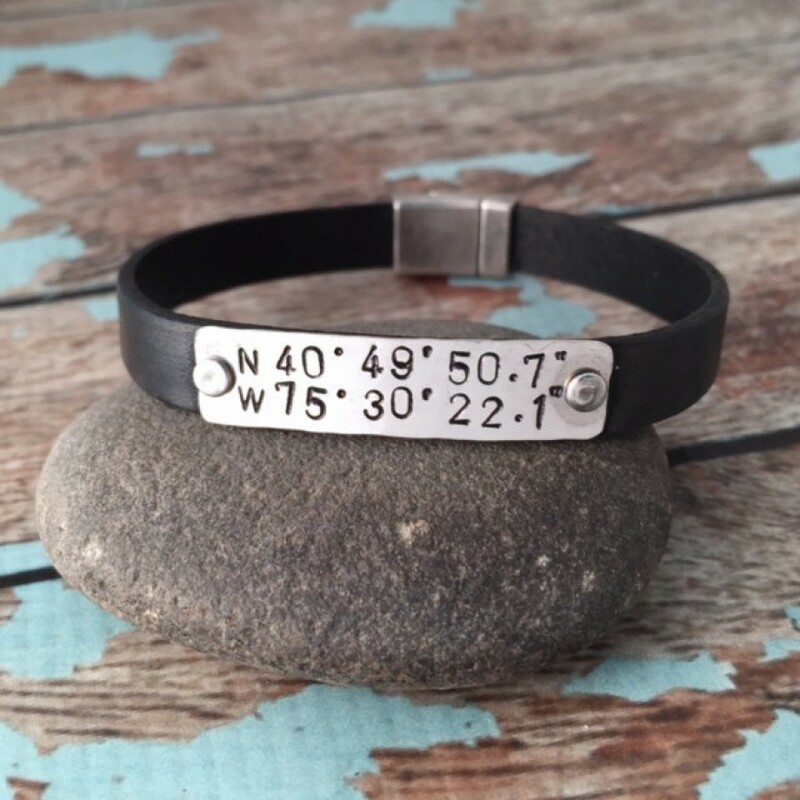 A perfect gift for anyone, this leather cuff is created from scratch. 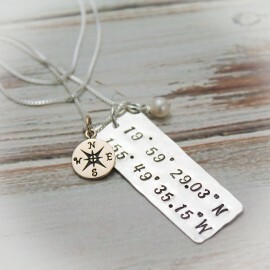 Chart your special place with this latitude and longitude necklace available in copper, brass or silver. 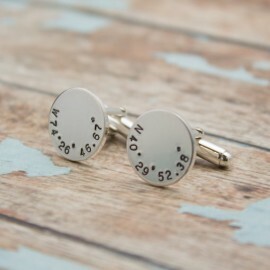 Great gift to remember where you first met, first kiss, engagement wedding, honeymoon, or just your favorite vacation spot. The leather is 10mm wide and available in a several colors. 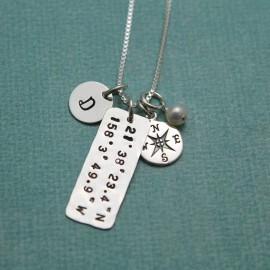 The plate is sterling silver, with a beautiful hammered texture, and is riveted on which makes it very secure. The cuff is secured to your wrist with a very strong magnetic clasp. The leather is 10mm wide and available in a several colors. 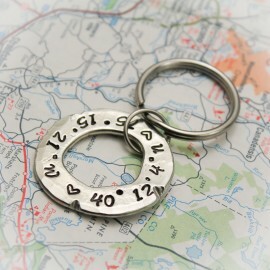 The plate is sterling silver, with a beautiful hammered texture, and is riveted on which makes it very secure. The cuff is secured to your wrist with a very strong magnetic clasp.